I didn’t leave the house today. Or more accurately, I stayed in my office whilst the folks went to the beach. Being a ‘knowledge worker’ ( I hate that term) it doesn’t really matter where I ply my trade, be it on the beach, in an underground bunker or my fav, a coffee shop with comfy armchairs. As long as I have a wifi connection I can carry on the work of Mammon. But today, I had to forfeit sea and sand in exchange for Skype and spreadsheets. I figured the sound of crashing waves and screaming kids wouldn’t give the right impression over a conference call. The upshot of a day deprived of diving into the Med is that my brain has started to regress back into a “London-go-go-go-stress-hormone” mode. I’m wary of taking on even more projects while I’m away but while there are no work prospects over here for the foreseeable few decades, I have to embrace every opportunity that comes my way. So as the play/work dynamic starts its inevitable transformation, the seasons seems to be following suit too. Today I felt a new sensation. Accompanying the usual relentless battering from the Mediterranean sun, an occasional brisk wind from the mountains in the north-west signalled that summer would soon be drawing to a close. Quite apt seeing as we only have two weeks left before Mr Bump is due to make his world premiere. I’m so excited…. Want to know a secret? OK, it’s time to spill the beans. WE’RE HAVING A BABY!!! OK, it’s out in the open now. Yes, the whole reason for me being here in Greece is that T can be with her friends and family as we two becom three. The clock is ticking very quickly, we’re in week 38 now, Mr Bump has grown to the size of a basketball and nerves are starting to rattle ever so slightly. Today we went for a weekly check-up in the (not so) local hospital in Kalamata. Getting used to the health system here has been, let’s say, enlightening. 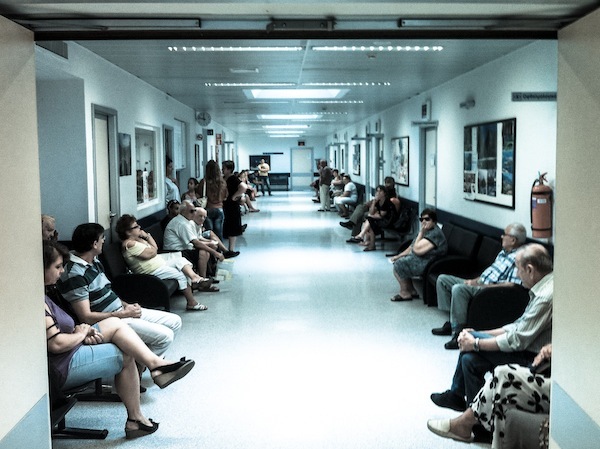 The labyrinthine system of health insurance means that, as a Greek citizen, depending on your previous employment history, contributions etc, you have the potential to choose a public hospital or a private clinic. After visiting a couple of private doctors with varied results, we ended up at the public hospital in Kalamata. Everything really is so different here, too much to go into detail now, but my initial apprehensions and prejudices have been put aside, and now it’s time to just get on with the show. The truth is, I’m very happy with the care we’ve had so far. In the UK, you deal with mid-wives through-out your pregnancy. Over here, you get to see a doctor at every appointment. The staff are friendly, jovial and professional despite being very busy. Maybe it’s the laid back Kalamata vibe, but the whole place seems calm and quite stress free, exactly the kind of environment you want your child to be born in. As you’re probably aware, public services are being stripped away by the austerity measures, the latest development being the discussion of a 6-day working week, however, life, just carries on here, business as usual. And I’m heartily grateful to all the doctors, nurses and staff that have brought us this far. 20 years ago, my beloved London, was home to Cardboard City, a mini metropolis in the pedestrian subway by Waterloo Station . The cardboard in question constituted the ‘homes’ of the homeless, who gathered here for shelter, solidarity and proximity to the soup kitchens. Now a giant IMAX cinema has taken its place, the homeless have disappeared, or maybe dispersed to less visible parts of the city. Homelessness, once an alien concept in this part of the world, has risen alarmingly in Greece since the economy started to nose dive. Bums, junkies and hobos have multiplied. And in Athens, middle class families have been selling their possessions on the streets, not so they can pay the rent, but to buy food to feed their families. But here in Mani, a paradox resides. As poverty and austerity grips the nation even tighter, here, everywhere you look, the seemingly barren landscape offers up an abundance of sustenance for free. Served up by nature and nurtured by the climate, in the fields, by the roadside, at the sea, there’s food lying around, just for the taking. 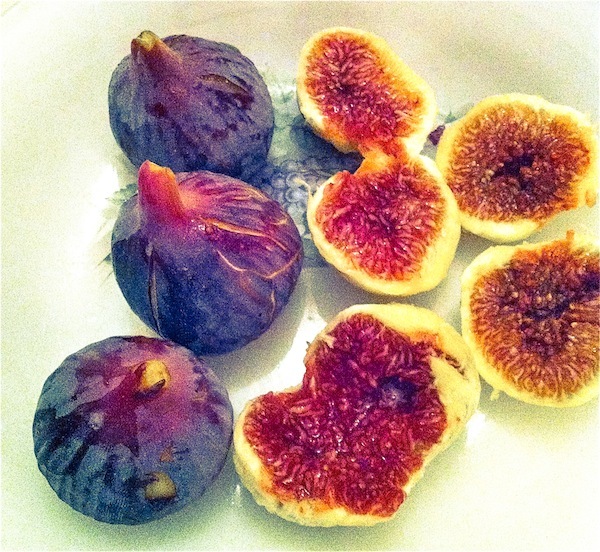 Fig trees everywhere spill their ripe fruit all over the roadside. Pomegranates lie strewn on the path, neglected by all except the wasps. Olive trees, ubiquitous, cover every part of the land, farmed or neglected. Wild greens, (horta) the kind you’d pay handsomely for at the Whole Food Store, grow like weeds. Today, at the beach a young guy clambered over the rock pools with a kitchen knife and a carrier bag full of sea-urchins, ripe for picking after the blue moon two days ago. 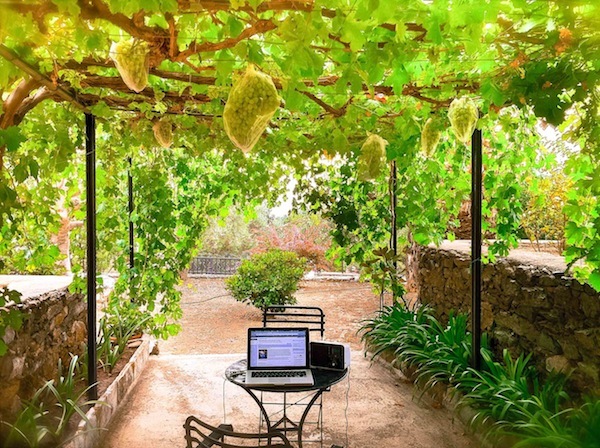 Yes, it’s my romantic, Northern European view of a simple Mediterranean rural idyll, but you know what, this is how it is. 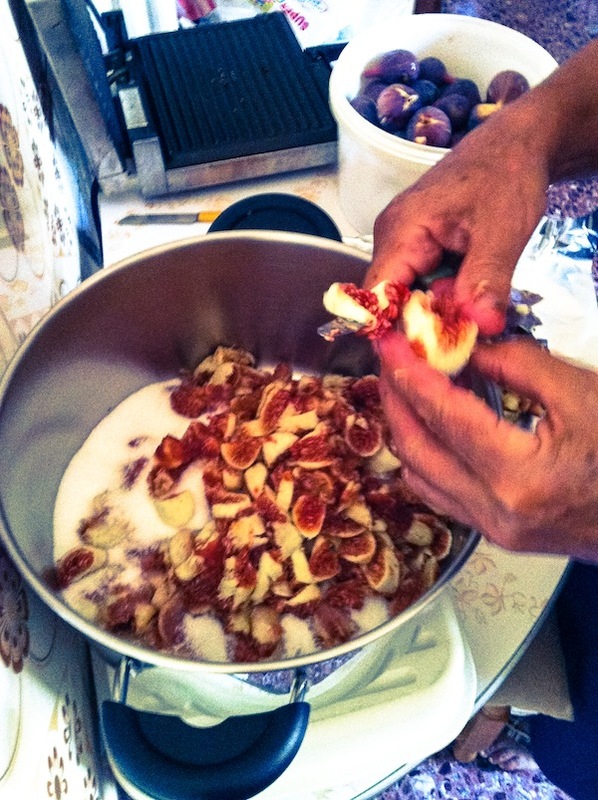 We’ve got figs here to feed an army, prickly pears -forget it – nobody can even be bothered to harvest them. I love my food, and it’s in abundance here. Fresh, local, organic, taste-mongous, and absolutely free if you just open your eyes. 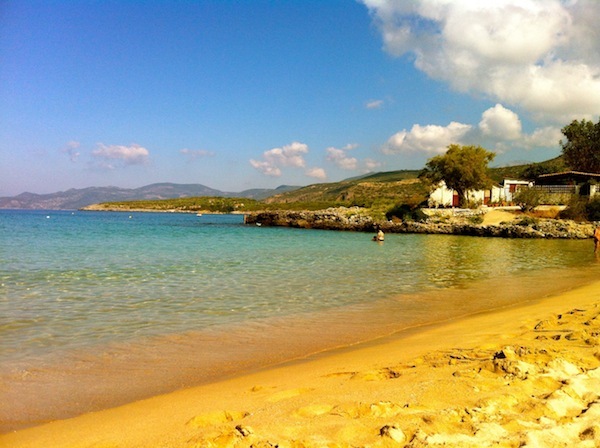 Kalogria beach in Stoupa. One of the busier beaches in the region. A change of scene for our daily beach trip. Ten minutes traversing westerly across the mountains takes us to the small village of Stoupa. In comparison to the tranquil surroundings of our little cove, Stoupa is a bustling metropolis. It’s geared up for locals and tourists alike with a supermarket, pharmacy, doctor, restaurants, bars and a pristine sandy beach. It also has a literary history. Apparently the novel Zorba the Greek owes it’s inspiration to this unassuming town, not Crete, as the novel tells. A statue of author Nikos Kazantzakis stands on the cliff top to testify. Anyway, back to the beach. It’s a bit crowded for my taste, but the water is perfect for swimming. Virtually no waves, crystal clear and dotted with cold water springs. As you swim out, you are unexpectedly caught by a cold draft wafting up from the sea bed every now and then. Weird but quite nice really. 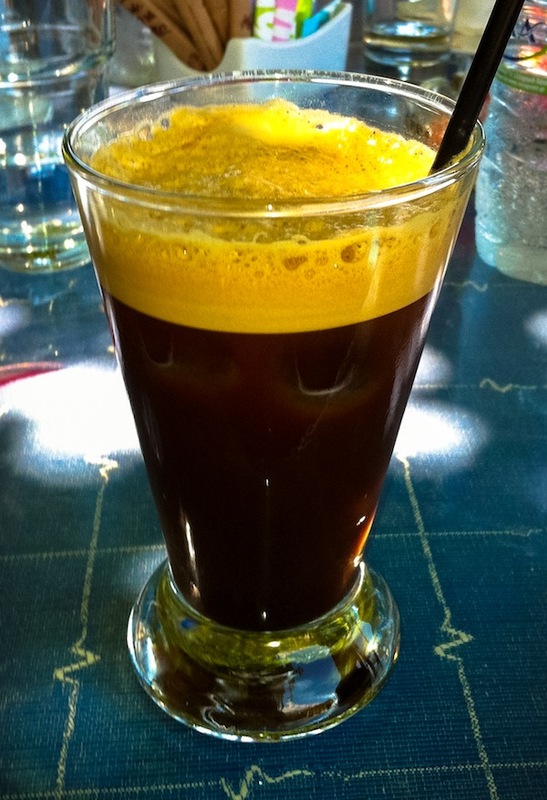 It’s Sunday (κυριακή) today. I’ve been here for a week. I guess you could say I’ve fallen into a routine – get up, exercise, breakfast, beach, lunch, siesta, work (check out my new office, above), coffee break, walk, study, relax…… However, being out in the wilds of Μάνη, there’s not much to distinguish the days from the weekends. The only thing to mark my day today was the sound of the church bells, and the wailing of the local priest at 7 in the morning. The combination of the tinny Tannoy and the unfamiliar eastern-tinged melodies sounds more like a Muslim call to prayer, than anything you’ll hear in a Christian service back in the UK. So, apart from a slightly cloudy afternoon, Sunday passed just like the rest of the week. Only one moment of drama occurred at sunset, when a bat managed to find it’s way into my bedroom. I’m sorry, but my notions of bats are bloodsucking creatures from the pit of hell, so T was not very impressed by my valiant ( aka cowardly) efforts to shoo it back out into the twilight. A very useful addition for any budding learner of the Greek language, I’m sure. Today I was reminded how much I feel at home in the country, in nature, out in the sticks if you like. 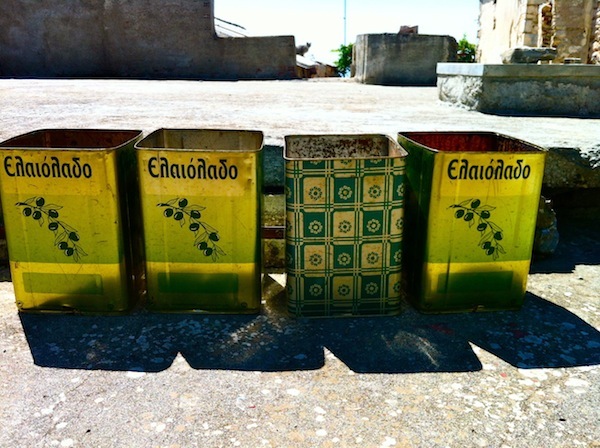 I’m staying in a region called Μάνη, in the southern Peloponnese. The landscape here has a barren beauty. Olives, figs and citrus fruits thrive, but anything else needs constant watering to stand a chance of survival. However, a trip to the now derelict mill (above) previously owned by T’s grandfather illustrated how life flourishes in even the seemingly most inhospitable environments. I remember visiting last year and hearing tales of the mysterious, stinky pig-like creature which burrowed it’s way into the ruins of the old olive press (still unidentified -we think it might be some kind of weasel, badger maybe). Today, as we stumbled around the blackened walls, a startled colony of bats took umbrage and fled into the darkness of an internal room. Stoicly, I led us out into the light, to encounter a couple of very well fed stray cats whilst donkeys and goats roamed the adjacent fields. To top it off we passed the sheltered alleyway where a litter of puppies was born last year. Later, in my alfresco office, lizards basked in the afternoon sun, swapping their feet on the hot concrete, whilst wasps the size of my little finger buzzed overhead.